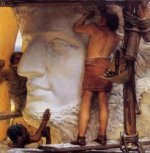 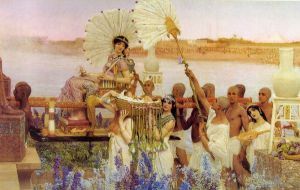 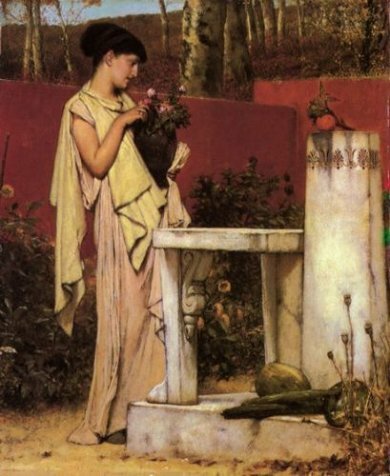 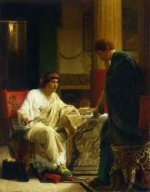 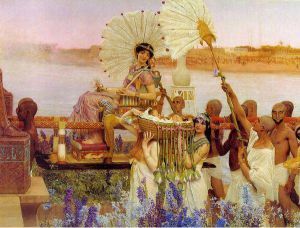 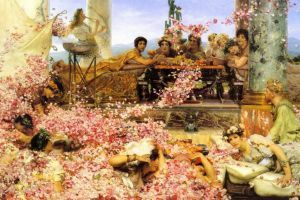 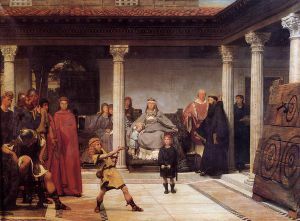 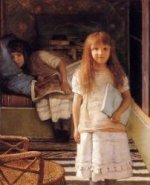 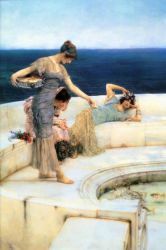 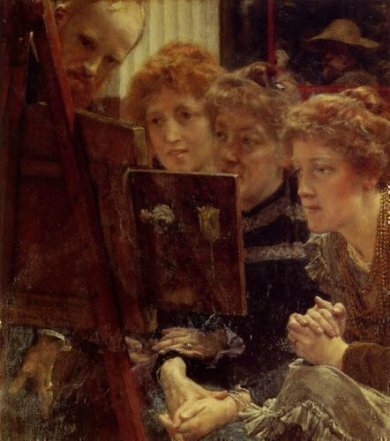 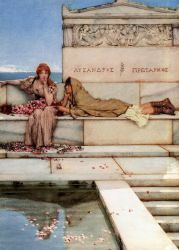 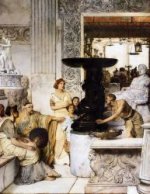 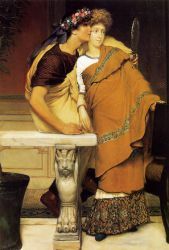 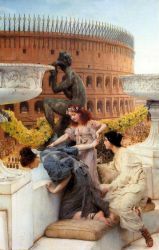 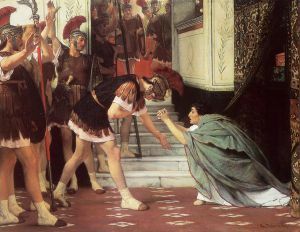 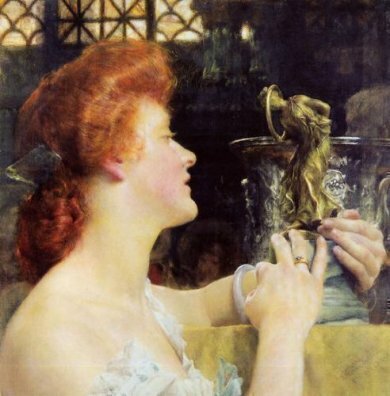 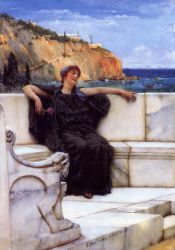 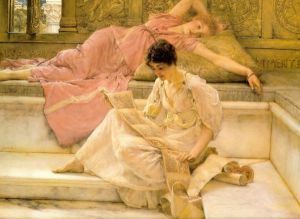 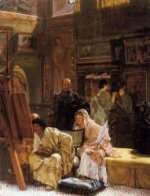 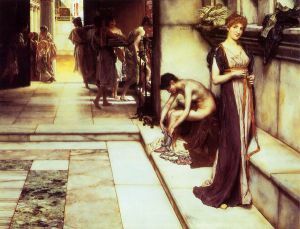 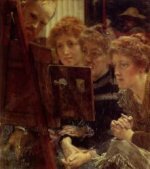 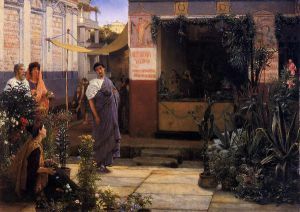 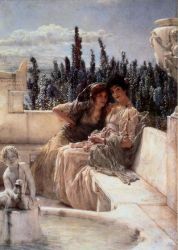 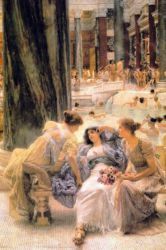 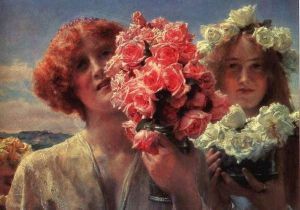 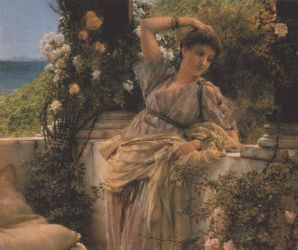 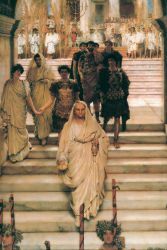 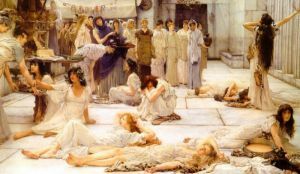 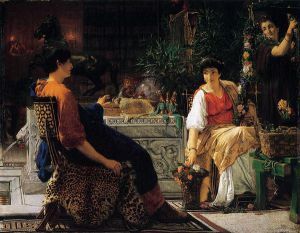 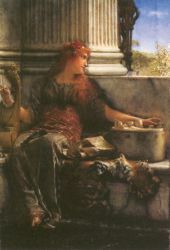 Sir Lawrence Alma-Tadema (8 January 1836 Dronrijp, the Netherlands - 25 June 1912, Wiesbaden, Germany) was one of the most renowned painters of late nineteenth-century Britain. 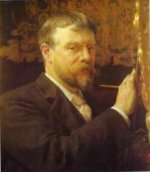 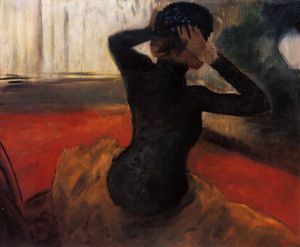 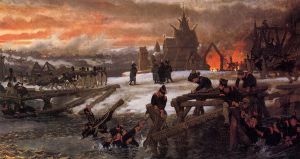 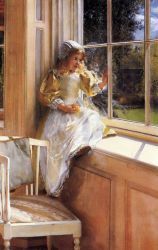 Born in Dronrijp, the Netherlands, and trained at the Royal Academy of Antwerp, Belgium, he settled in England in 1870 and spent the rest of his life there. 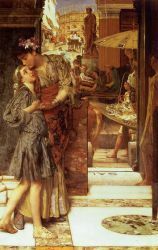 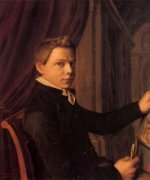 A classical-subject painter, he became famous for his depictions of the luxury and decadence of the Roman Empire, with languorous figures set in fabulous marbled interiors or against a backdrop of dazzling blue Mediterranean sea and sky. 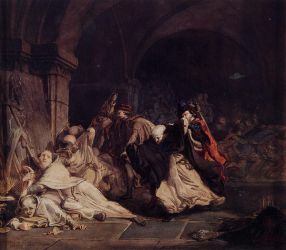 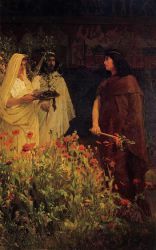 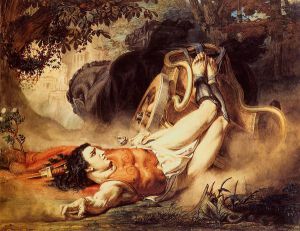 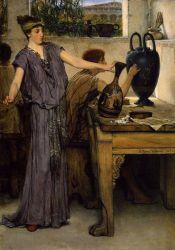 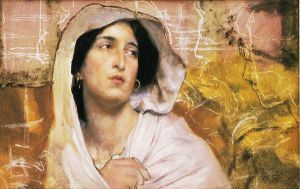 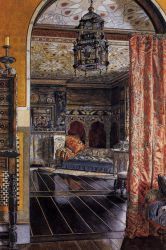 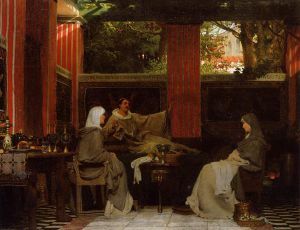 Admired during his lifetime for his draftsmanship and depictions of Classical antiquity, he fell into disrepute after his death and only in the last thirty years has his work been reevaluated for its importance within nineteenth-century English art.